I’m hearing lots of things about World War I at the moment because this week marks the 100th anniversary of its start. I’m learning that it was a terrible time and many people lost their lives in dreadful circumstances. Really, you humans are a strange breed. You are capable of the most amazing acts of kindness and love, creativity and invention, and yet you also commit the most terrible atrocities. Anyway, I’m also learning that many animals were involved in the First World War and that they did some very brave things. 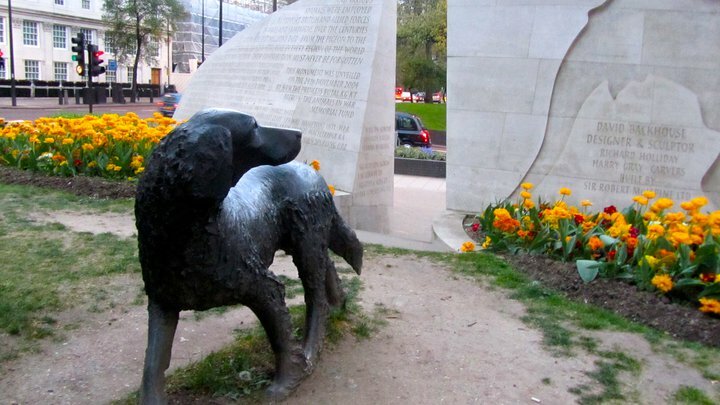 These brave creatures, and other animals that have served with the British forces throughout history, have their own war memorial on Park Lane in London. It was designed by David Backhouse – an English sculptor, and was unveiled in November 2004. And if you go to see it, look out for the goat – it was modelled on Rosie, who lived with The Staff’s friends Annie and John in Wales! Back in 1914 The Blue Cross – a wonderful charity that still does a terrific job today – cared for many animals injured during the conflict. Originally, The Blue Cross was a fund set up by Our Dumb Friends League, which was formed in 1897. 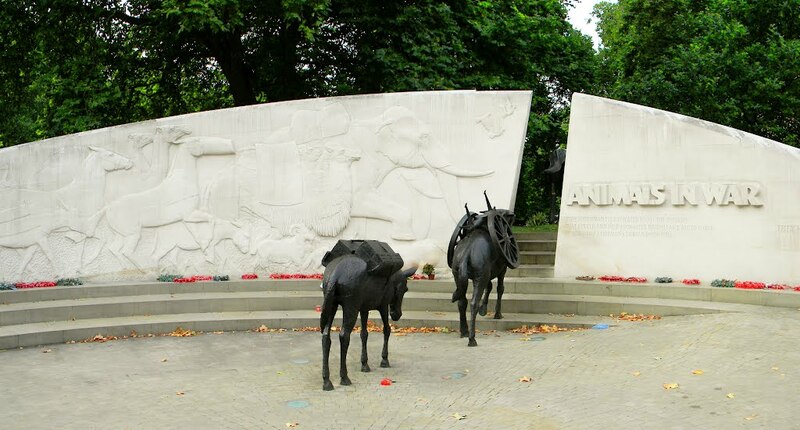 ODFL used the fund to care mainly for horses that were casualties during the Balkan wars of 1912-13. It was reinstated during The Great War and sent vets, nurses, first aid and clinical supplies out to the front. But as well as looking after injured animals, it also had a happier role. It’s kennels in Shooters Hill, London acted as a quarantine centre for animals returning from the war. Monty (my namesake!) was a dog who had befriended a British sergeant in Turkey. He served with him in Gallipoli and apparently was instrumental in saving the lives of two soldiers. But at the end of the war, the sergeant couldn’t afford to pay the quarantine fees. Blue Cross to the rescue! They stepped in and paid the fees so Monty and his human companion were reunited and able to spend the rest of their days together in more peaceful circumstances. The kennels disappeared long ago and houses now stand where animals once lived. However, there’s still a pet cemetery with around 240 graves – some dedicated to brave animals who served beside their humans in various conflicts. This entry was posted in Art, Uncategorized and tagged Animals in war, First World War, Our Dumb Friends League, The Blue Cross, The Great War, War Animals Memorial on August 8, 2014 by MrMonty2014.